BUFFALO GROVE, IL – August 16, 2018 – Buffalo Grove, IL – BCDVideo announces the hiring of a 15-year security industry veteran Maureen Carlo. 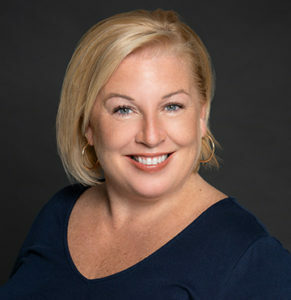 In her position of Business Development Manager, Maureen will be responsible for driving BCDVideo’s technology message and product platform to national and local security integrators, as well as Architectural & Engineering (A&E) firms throughout the Eastern United States. Maureen has a diverse industry background, including technology consultation, content development, system integrator, product portfolio manager, and marketing consultant. For the past five years, Maureen was at VIDEOTEC Security, Inc., developing their U.S. brand name recognition, partnerships, and programs. “BCDVideo and I began our story together in 2008 when I was an integrator and Jeff helped me sell their servers. When I pivoted my career to manufacturing, BCDVideo sold my product,” adds Ms. Carlo. “Through these 10 years, we’ve watched each other flourish in the physical security industry, and I’ve admired watching BCDVideo mentor the next generation of security professionals, which our industry craves. Now, our story evolves—and I think we’re going to have some fun in the process!